Descendants of William Jarvis Jr.
On this page you will find information about the descendants of William Jarvis, Jr., as well as a collection of images assembled by Bill Wilkins over a lifetime (we won't say how long a lifetime) of gathering, studying, analyzing, compiling, fine tuning, and sharing. Now he shares with us these particular fruits of his work. If you find that you have relatives on this page, and particularly if you have additions or corrections to Bill's information or photos, drawings, paintings or other representations of these people, please contact Bill Wilkins. His e-mail address is billyghote@mediaone.net. Thanks very much. Bill insists that I say that creation of this page was a joint effort with Barbara Cox, so I'm saying it. I'm very glad he likes the page, but it is a little like being one tiny oystershell chip on that long driveway to Eyre Hall—he worked for several decades and I worked for a few hours. —B.C. 1. William Jarvis Jr. b. 1770, (son of William Jarvis and Anne Goffigon) m. (1) 14-Dec-1795, in ( Bond mlbm-58 ), Northampton Co., Va., Frances "Fanny" Goffigon, b. 10-Nov-1776, (daughter of Nathaniel Goffigon and Frances Dunton) d. 21-Oct-1796, or Oct. 25 or Oct. 20, m. (2) 30-Aug-1798, in Northampton Co., Va., Ann "Nancy" Wilkins, b. 24-Jul-1781, (daughter of William Wilkins Sr. and Elizabeth Goffigon) d. 6-Dec-1805, m. (3) 14-May-1808, in mlbm-58, Northampton Co. Va., Elizabeth Upshur Robins, b. 1788, (daughter of John Robins and Susanna Teackle) d. 1-Jul-1844, buried: Piney Forest, Northampton Co. Va. William died 1-Jan-1831, buried: Piney Forest, Northampton Co. Va. Note: Ancestor information for William Jarvis and each of his three wives is linked to their names, above. 2. i John Jarvis b. 20-Jul-1799, d. 16-Apr-1826. + 3. ii Elizabeth W. Jarvis b. 4-Jan-1801. 4. iii William W. Jarvis b. 10-Jan-1803, m. 13-Oct-1823, in ( Bond mlbm-58 ), Northampton Co., Va., Leah Willet, b. c. 1798, (daughter of Douglas Willett and Betty "Betsey" Savage) d. liv. 1823. 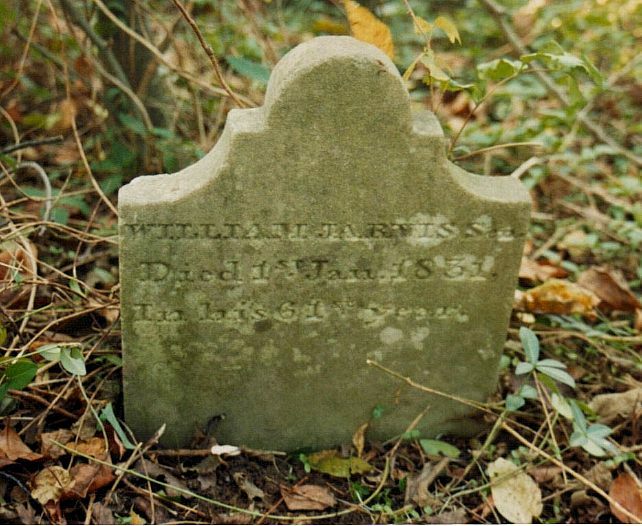 William died --May-1825. 5. iv Thomas Jarvis b. 2-Nov-1804, d. 30-Sep-1805. Elizabeth Upshur Robins, b. 1788, (daughter of John Robins and Susanna Teackle) d. 1-Jul-1844, buried: Piney Forest, Northampton Co. Va.
6. v Thomas R. Jarvis b. 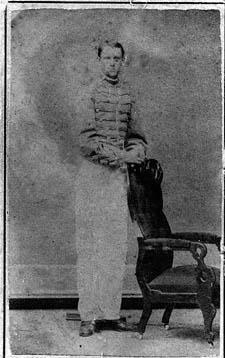 19-Nov-1809, d. 13-Feb-1862, buried: Piney Forest, Northampton Co. Va.
7. vi Anna Mariah Jarvis b. 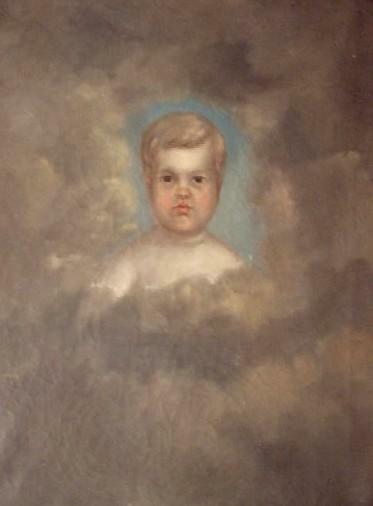 16-Mar-1812, d. 9-Jul-1813. 8. vii Jesse Jarvis b. 10-Jan-1814, d. 31-Aug-1814. + 9. viii Laura M. Jarvis b. 2-Mar-1816. + 10. ix George Temple Jarvis b. 23-Jul-1819. + 11. x Maria Ann Jarvis b. 3-Mar-1821. 12. xi Susan Robins Jarvis b. 25-Dec-1822. + 13. xii Jesse Nelson Jarvis b. 23-Nov-1824. + 14. xiii William Simkins Jarvis b. 12-Mar-1828. 3. 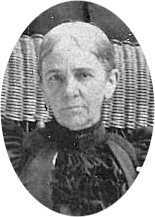 Elizabeth W. Jarvis b. 4-Jan-1801, m. 20-Feb-1816, in ( Bond mlbm-65 ), Northampton Co., Va., Custis Kendall Jr., b. by. 1816, (son of John Kendall Jr. and Lucretia Guy) d. 1822. Elizabeth died 21-Jan-1867, buried: Fredonia, Northampton Co. Va.
+ 15. i William H. Kendall b. 1821. + 16. ii Elizabeth Custis Kendall b. 28-Mar-1822. 9. Laura M. Jarvis b. 2-Mar-1816, m. 1838 (mlbm 100), in Northampton Co. Va., Jesse Jarvis Simkins, b. 1804, (son of Arthur Simkins and Sarah " Sally " Jarvis) d. 14-Jan-1866, buried: Piney Forest, Northampton Co. Va. Laura died 21-May-1872, buried: Piney Forrest, Northampton Co. Va.
17. i William Jarvis Simkins b. 9-Aug-1840, d. 19-Sep-1844, buried: Piney Forest, Northampton Co., Va.
18. ii William Jarvis Simkins b. 1846, d. 9-Mar-1854, buried: Piney Forrest, Northampton Co. Va.
10. George Temple Jarvis b. 23-Jul-1819, Northampton Co., Va., m. (1) 8-Mar-1847, in (mlbm-58), Northampton Co., Va., Sally F. Goffigon, b. 9-Mar-1823, (daughter of Southey (Southy) Goffigon II and Esther Goffigon) d. 1-May-1850, buried: Rat Hall, Northampton Co. Va., m. (2) 25-Oct-1865, in Bond-Buck-343, Northampton Co., Va., Mary "Molly" Ann Dolby Dalby, b. 28-Sep-1843, Northampton Co., Va., (daughter of Benjamin J. Dolby Dalby and Mary Ann Kendall) d. 21-Nov-1867. George died 13-Apr-1874, buried: Piney Forrest, Northampton Co., Va.
19. i Esther Jarvis b. 20-Jul-1848, Northampton Co., Va., d. c. 1848. 20. ii Esther Jarvis b. 15-Nov-1849, d. 20-Dec-1849, buried: Rat Hall, Northampton Co. Va.
21. iii Sallie Jarvis b. --Apr-1850, d. --Jul-1850, buried: Rat Hall, Northampton Co. Va.
11. Maria Ann Jarvis b. 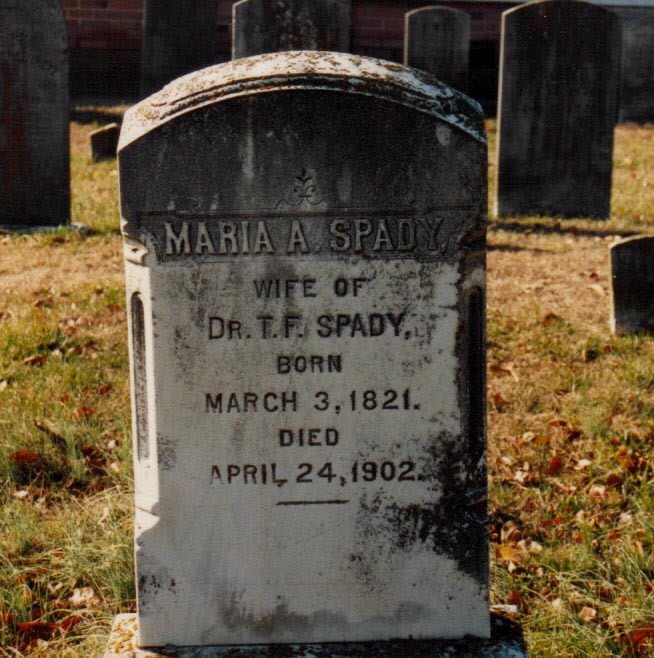 3-Mar-1821, m. 27-Mar-1843, in (mlbm-104), Northampton Co., Va., Thomas Fitchett Spady, b. 18-Aug-1818, (son of Thomas S. Spady and Sarah "Sallie" Fitchett) d. 15-Oct-1875, buried: Piney Forrest, Northampton Co. Va. Maria died 24-Apr-1902, buried: Holmes Church, Northampton Co. Va.
+ 22. i Elizabeth "Bettie" Jarvis Spady b. 22-Dec-1845. + 23. ii Robina Susan Spady b. 1848. 24. iii Sarah Robina Spady b. 1848, d. by. 1850. 25. iv Thomas Sanford Spady b. 21-Sep-1850, d. 19-Jan-1900, buried: Holmes Church, Northampton Co. Va.
+ 26. v Laura Simkins Spady b. 19-Sep-1852. + 27. vi William Simkins Spady b. 1855. + 28. vii George Jarvis Spady b. 24-Mar-1858. 29. viii Susan Spady b. 1862, d. liv. 1870. + 30. ix Katherine "Kate" Parker Costin Spady b. 3-Oct-1865. 13. Jesse Nelson Jarvis b. 23-Nov-1824, m. 1848 (mlbm 58), in Northampton Co. Va., Virginia Adams Dolby Dalby, b. 17-May-1831, (daughter of Benjamin J. Dolby Dalby and Mary Ann Kendall) d. 23-Nov-1891, buried: Piney Forest, Northampton Co. Va. Jesse died 7-Jun-1892, buried: Piney Forest, Northampton Co. Va.
+ 31. i Samuel "Sammie" Adams Jarvis b. 18-Feb-1850. A photo of Samuel "Sammie" Adams Jarvis. Pictured with him are William "Pete" Walton Wilkins (right) and George Fulwell Wilkins (left). George Fulwell Wilkins was father to our Olde Ghote Bill Wilkins. Pictured on the right is a boat that Samuel Jarvis made for George Wilkins, probably in the 1890s. 32. ii William Jarvis b. 23-Jan-1852, d. 15-Oct-1871, buried: Piney Forest, Northampton Co. Va.
33. iii Son Jarvis b. 22-Mar-1854, d. 29-Mar-1854, buried: Piney Forest, Northampton Co. Va.
34. iv Virginia A. Jarvis b. 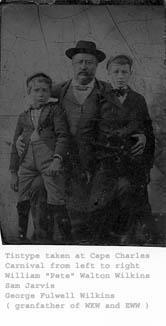 22-Mar-1854, d. 29-Mar-1854, buried: Piney Forrest, Northampton Co., Va.
35. v Son Jarvis b. 7-May-1855, d. 13-May-1855, buried: Piney Forest, Northampton Co. Va.
36. vi Margaret R. Jarvis b. 30-Apr-1856, d. 16-Sep-1879, buried: Piney Forest, Northampton Co. Va.
37. vii Benny Jarvis b. 4-Sep-1858, d. 4-Sep-1858, buried: Piney Forest, Northampton Co. Va.
+ 38. viii George Temple Jarvis b. 2-Aug-1860. 39. ix Thomas Robins Jarvis b. 11-Mar-1863, d. 9-Nov-1934, buried: Johnston Ch., Northampton Co. Va.
40. x Jesse S. Jarvis b. 27-Mar-1865, Northampton Co., Va., m. 28-Feb-1918, in Bond-Buck-343, Northampton Co., Va., Mattie Estelle Dolby Dalby, b. 12-Jul-1868, Northampton Co., Va., (daughter of John Leonard Dolby Dalby and Emma Dines Nottingham) d. 19-Nov-1923, buried: Johnson Church, Northampton Co., Va. Jesse died 17-Jun-1924, buried: Johnson Church, Northampton Co., Va.
41. xi Lucius Chandler Jarvis b. 14-Sep-1867, d. 27-Jul-1928, buried: Johnson Church, Northampton Co., Va.
+ 42. xii Mollie Dalby Jarvis b. 30-Jun-1870. 43. xiii William S. Jarvis b. 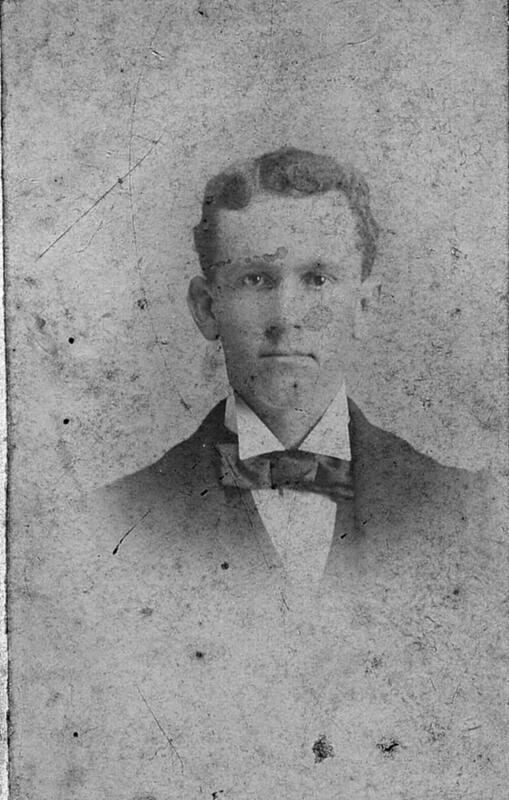 3-Apr-1876, d. 28-Jun-1923, buried: Johnson Ch., Northampton Co., Va.
14. William Simkins Jarvis b. 12-Mar-1828, Northampton Co., Va., m. 21-Mar-1854, in Bond-Buck-344, Northampton Co., Va., Louisa A. Nottingham, b. 3-Nov-1832, Northampton Co., Va., (daughter of Jacob E. Nottingham and Ann Spady) d. 15-Apr-1912, buried: Piney Forest, Northampton Co. Va. William died 21-Sep-1876, or 1871 per Jarvis FB, buried: Piney Forest, Northampton Co. Va.
+ 44. i Elizabeth "Bettie" Upshur Jarvis b. 21-May-1855. 45. ii Thomas R. Jarvis b. 9-Jul-1857, d. 18-May-1912, buried: Piney Forest, Northampton Co. Va.
15. William H. Kendall b. 1821, m. 28-May-1867, in Bond-Buck-381, Northampton Co., Va., Hannah Ellen Stoakley, b. 1835, Northampton Co., Va., (daughter of Thomas Stratton Stoakley and Sarah Ann Scott) d. 5-Feb-1882, buried: Kendall Place, Northampton Co. Va. William died 18-Jul-1885, buried: Kendall Place, Northampton Co. Va.
46. i Elizabeth "Bessie" A. Kendall b. 1869, d. liv. 1870. + 47. ii Ellen Kendall b. 1875. 16. Elizabeth Custis Kendall b. 28-Mar-1822, m. 26-Jun-1843, in ( Bond mlbm-128 ), Northampton Co., Va., William W. Wilkins, b. 1-Dec-1799, (son of William Wilkins and Peggy Scott) d. 24-Nov-1864. Elizabeth died 3-May-1859, buried: Fredonia. 48. i Margaret "Peggy" Wilkins b. 24-May-1844, m. 7-Dec-1865, in Buck-207 Northampton Co., Va., Joshua Fitchett Dunton, b. 27-Aug-1843, (son of Thomas Kellam Dunton and Emeline P. Fitchett) d. liv. 1865. Margaret died 1865. 49. ii William Wilkins b. 1848, d. liv. 1850. + 50. iii William Walton Wilkins b. 30-Nov-1850. William Walton Wilkins b. 30-Nov-1850. 22. Elizabeth "Bettie" Jarvis Spady b. 22-Dec-1845, Northampton Co., Va., m. 30-Nov-1871, in Bond-Buck-465 ( Nov. 3) Northampton Co., Henry Irving Nottingham, b. 10-Nov-1842, (son of John Evans Nottingham and Mary Ann Goffigon) d. 3-Jan-1916, buried: Cape Charles, Northampton Co. Va. Elizabeth died 29-Feb-1924, buried: Cape Charles, Northampton Co. Va.
51. i Thomas Nottingham b. 25-Oct-1872, d. 1-Nov-1872. + 52. ii Thomas Spady Nottingham b. 28-Apr-1876. 53. iii Alfred Downes Nottingham b. 19-Feb-1878, d. 4-Feb-1945, buried: CC, Northampton Co. Va.
54. iv Laura Cooke Nottingham b. 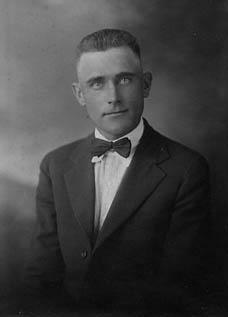 9-Mar-1882, m. 7-Nov-1909, in Bond-Buck-680, Northampton Co., Va., Walter Jackson Tignor, b. 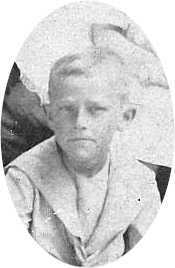 16-Nov-1875, Richmond, Va., (son of Thomas W. Tignor and Elizabeth A. ------) d. 6-Sep-1918, buried: Hollywood Cem., Richmond Va. Laura died 25-Dec-1954, buried: Cape Charles, Northampton Co. Va.
Photo above taken in 1904. Click on photo for more. 55. v Virginia Spady Nottingham b. 21-Nov-1884, d. 18-Feb-1945, buried: Cape Charles, Northampton Co., Va.
56. vi John Page Nottingham b. 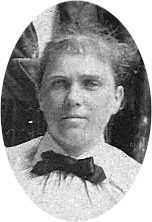 30-Mar-1889, m. Susie Sears. John died 1?-Jul-1937. 23. Robina Susan Spady b. 1848, m. 13-Nov-1882, in Bond-Buck-756, Northampton Co., Va., Segar Whiting, b. 1858, Hampton, Va., (son of Henry Clay Whiting and Mollie Segar) d. 1933. Robina died liv. 1850. + 57. i Henry Clay Whiting b. 1884. + 58. ii Kate Spady Whiting. + 59. iii Mary Kenna Whiting. + 60. iv Thomas Spady Whiting. 61. v Maria Jarvis Whiting b. 23-Jul-1897, m. Paul Williams Wyatt, b. 19-Jan-1893, Belle Haven, Virginia, (son of Lloyd "Harm" Hamilton Wyatt and Sally Trower Mapp) d. 12-Sep-1944, Hampton, Va. Maria died 9-Apr-1981. 26. Laura Simkins Spady b. 19-Sep-1852, Northampton Co., Va., m. 10-Oct-1877, in Bond-Buck-156, Northampton Co., Va., Lechmere Cooke, b. 1853, Portsmouth, Va., (son of James Wallace Cooke and Mary Elizabeth Ann Watts). 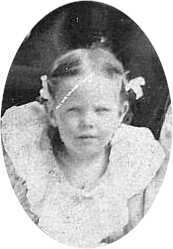 Laura died 19-Mar-1943, 100 College Place, Hampton, Va., buried: 21-Mar-1943, Cedar Grove Cemetary, Portsmouth, Va.
+ 62. i James Wallace Cooke. + 63. ii Thomas Sanford Cooke. 27. William Simkins Spady b. 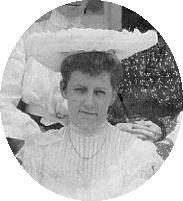 1855, m. 29-Mar-1889, in Bond-Buck-630, Northampton Co., Va., Frances "Fanny" Simkins Goffigon, b. 1862, (daughter of Frederick J. Goffigon and Mary Elizabeth Nottingham) d. 1950, buried: Holmes Church, Northampton Co. Va. William died 1936, buried: Holmes Church, Northampton Co. Va.
+ 64. i Frederick Goffigon Spady b. 1891. Click on photo for more. Frederick Goffigon Spady b. 1891. + 65. ii Maria Ann Jarvis Spady b. 27-Aug-1894. 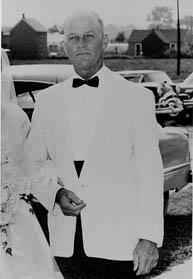 66. iii William Simkins Spady Jr. b. 1898, d. 1952. + 67. iv Thomas Sanford Spady b. 21-Feb-1901. 68. v Thomas Spady d. infant. 69. vi Wallace Cooke Spady d. infant. 28. George Jarvis Spady b. 24-Mar-1858, m. Annie Pritchard, (daughter of Edgar Pritchett and ??????). George died 21-Feb-1927, buried: Holmes Church, Northampton Co., Va.
70. i Teackle Robins Jarvis Spady. 30. Katherine "Kate" Parker Costin Spady b. 3-Oct-1865, Northampton Co., Va., m. 27-Nov-1889, in Bond-Buck-579, Northampton Co., Va., Marion Scott, b. 27-Nov-1859, Northampton Co., Va., (son of William John Scott and Martha Esther Dixon) d. 10-Oct-1952, buried: Holmes, Northampton Co. Va. Katherine died 25-Sep-1897, buried: Holmes, Northampton Co. Va.
+ 71. i William John Scott b. 25-Sep-1894. + 72. ii Marion Spady Scott b. 1897. 31. Samuel "Sammie" Adams Jarvis b. 18-Feb-1850, Northampton Co., Va., m. 22-Dec-1875, in Bond-Buck-344, Northampton Co., Va., Elizabeth "Bettie" Upshur Jarvis, b. 21-May-1855, Northampton Co., Va., (daughter of William Simkins Jarvis and Louisa A. Nottingham) d. 11-Jan-1920, buried: Holmes Church, Northampton Co. Va. Samuel died 16-Oct-1917, buried: Holmes Church, Northampton Co. Va.
73. i William S. Jarvis b. 25-Feb-1877, d. 28-Nov-1885, buried: Piney Forest, Northampton Co., Va.
+ 74. ii Louise (Louisa) Amanda Jarvis b. 23-May-1879. 75. iii Margaret Robins Jarvis b. 17-Jan-1883, d. 17-Dec-1972, Eastern State Hospital, Williamsburg, Va.
+ 76. iv Virginia Adams Jarvis b. 10-Apr-1889. 38. George Temple Jarvis b. 2-Aug-1860, "Piney Forest", Northampton Co., Va., m. 20-Nov-1892, in Bond-Buck-343, Northampton Co., Va., Emily Goffigon, b. 3-Jan-1869, Northampton Co., Va., (daughter of Frederick J. Goffigon and Mary Elizabeth Nottingham) d. 12-Apr-1925, buried: Holmes Church, Northampton Co., Va. George died 20-Oct-1931, "The Pines", Machipongo, Va., buried: Holmes Church, Northampton Co., Va.
77. i Jessie "Biggie" Nelson Jarvis b. 1893. 78. ii Mary Goffigon Jarvis b. 30-Jun-1895, d. 31-Jan-1896, buried: Farmers Delight, Northampton Co., Va.
+ 79. iii Mary Goffigon Jarvis b. 1900. + 80. iv George Temple Jarvis Jr. b. 1903. 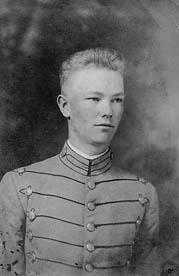 81. v Thomas Robins Jarvis II b. 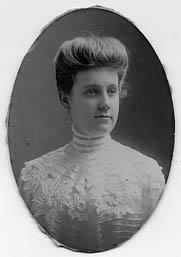 8-Nov-1905, m. Louise Lankford, (daughter of Charles Magurder Lankford and Mary Woodson Fitchett). Thomas died 4-Jul-1965, buried: Holmes Church, Northampton Co. Va.
42. 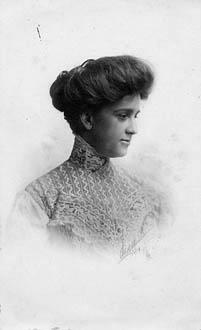 Mollie Dalby Jarvis b. 30-Jun-1870, "Piney Forest," Northampton Co., Va., m. 16-Jan-1907, in Bond-Buck-469, Northampton Co., Va., Lloyd Wilson Nottingham, b. 15-Sep-1846, Northampton Co., Va., (son of Edward T. Nottingham and Maria A. Goffigon) d. 17-Feb-1916, buried: Johnson Church, Northampton Co. Va. Mollie died 15-Nov-1936, buried: Johnson Church, Northampton Co. Va.
82. i Virginia Jarvis Nottingham b. 6-Sep-1912, d. 28-Jun-1913, buried: Johnson Church, Northampton Co., Va.
83. ii Lloyd W. Nottingham b. 11-Mar-1915, m. 30-Sep-1944, in Christ Church, Northampton Co., Va., Page Nottingham. Lloyd died 2-Apr-1973, buried: Christ Church, Eastville, Northampton Co., Va.